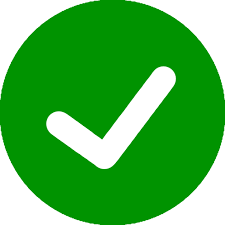 Gaetano Donizetti is renowned as a leading composer of the Italian romantic bel canto opera style during the first half of the 19th century. 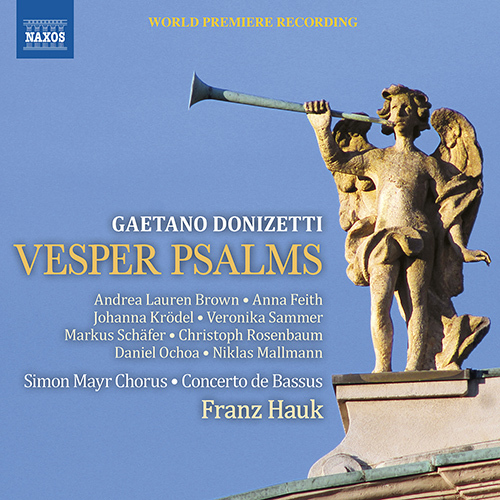 But in his earlier years and as a student of Simon Mayr his dramatic genius came to the fore in his settings of psalm texts for Vespers, a form then still popular in Italy both in secular and liturgical contexts. 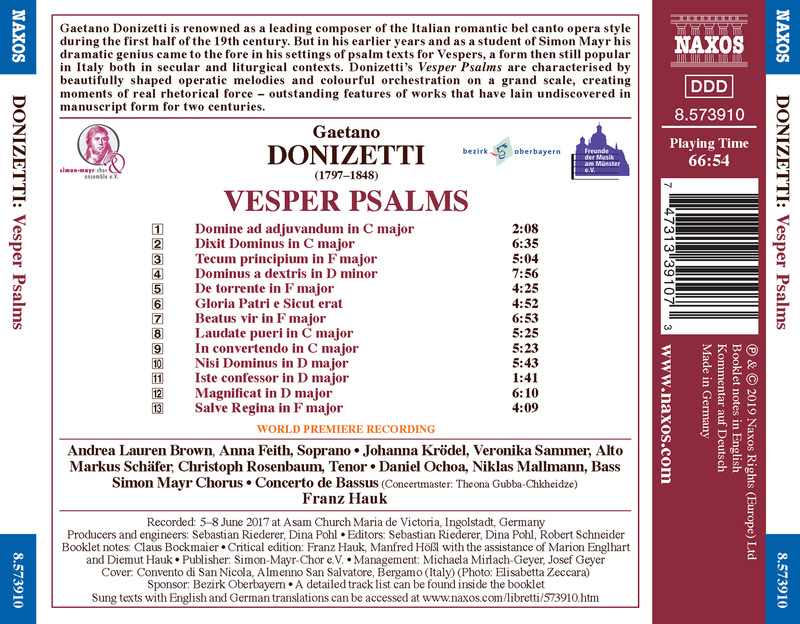 Donizetti’sÂ Vesper PsalmsÂ are characterised by beautifully shaped operatic melodies and colourful orchestration on a grand scale, creating moments of real rhetorical forceâ€”outstanding features of works that have lain undiscovered in manuscript form for two centuries.